Android: You're in a quiet place, you get a phone call and a loud ring roars out of your phone. 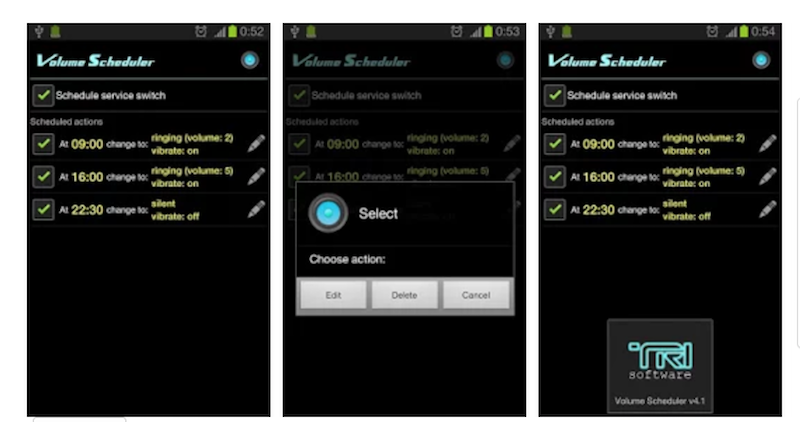 Volume Scheduler is a free app that can help you out when you've forgotten to silence your phone or set it to vibrate. The app adjusts your phone's ringing level based on specific times of day or days of the week. You simply schedule these times within the app and decide how loud you want your phone's ring to be. You can also schedule your phone to silent or just have it vibrate. It's a simple, useful app for work or meetings, when you may want to hear your phone ring, just not as loudly as you need it in the car or at home. Check it out for yourself at the link below. It's only available for Android, but AutoSilent is a similar option for iPhone users.